OnePlus5 is a Chinese smartphone available right now in 64Gb Storage / 6 Gb RAM Slate Gray and 128Gb Storage / 8Gb RAM Midnight black. It also comes with a 5.5 inch Full HD AMOLED 401 pixels-per-inch screen all protected by Gorilla Glass 5 technology. All of this compares quite well to the iPhone 7 specifications. The OnPlus5 has a dual-lens camera just like the iPhone 7 Plus. This allows for lossless zoom and for taking some captivating blurry background ‘bokeh’ shots. So which camera is better? 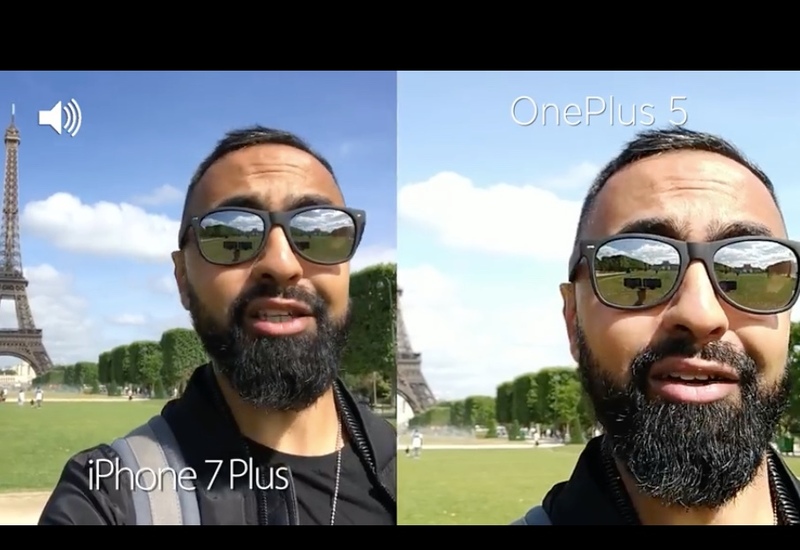 In the video OnePlus 5 vs iPhone 7 Plus Camera Test Comparison from YouTuber SuperSaf TV you will get the low down on which camera on which phone is better? What are your thoughts? Which phone camera do you think is better? Leave your thoughts in the comments below.